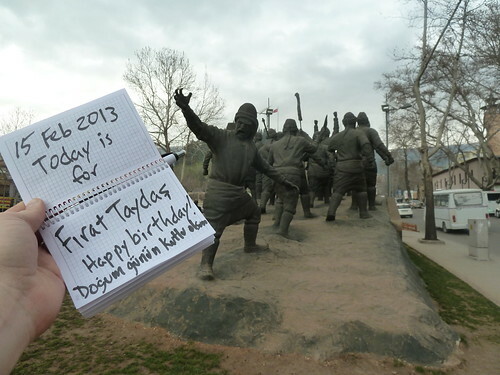 Today is for Fırat Taydaş – Happy birthday! Fırat works at Starbucks in Seattle with my good friend Tim Waters. By the way Fırat, two weeks ago today I reached the river that bears your name (Fırat Nehir = Euphrates River). Another "by the way" — this is a photo of the Bayrak Olayı (Flag Incident) monument in Kahramanmaraş.